PFE Technologies Pte Ltd is proud to offer Pereseal 702 in our new aluminium foil sausage packaging! So far, our sealant packaging has been confined to only PE cartridges. We have made the change to now offer our sealants in aluminium foil packaging (or sausage packaging), which brings about many benefits. Remember – PE is a non-biodegradable material that lasts decades in landfills. Even in its usage and application, PE is not the ideal packaging for sealants – it is hard to cut open, and requires certain amount of engineering parameters to balance out the production process, ease-of-use, and shelf life. With sausage packaging, PFE Technologies is taking a big step to make the world a better place. We are currently the first and only sealant supplier in Singapore offering acrylic sealants in aluminium foil sausage packaging. With our commitment to advanced construction technology, a better environment, and state-of-the-art production processes, PFE Technologies Pte Ltd is proud of our initiative to support greener, more efficient building practices. Our Pereseal 702 Acrylic Sealant product is now available in sausage packaging, besides the PE cartridge packaging that is currently available. Pereseal 702 will be available in both versions. Our Pereseal sausage foil products will be offered in 330 ml, 400 ml, and 600 ml net volumes, which offers 10%, 33%, and 100% more volume than our standard 300 ml hard PE cartridges respectively. These sausage foil packaging will require a compatible sausage foil applicator gun to work, and we are proud to offer these guns into our product portfolio as well. With a range of extra-heavy-duty guns to affordable, lightweight versions, we are able to offer the full range of products and accessories to consumers at every price point. This initiative by PFE Technologies will lead to a wide range of benefits for the customer, the user, and the environment. With everything you require to make the switch from PE cartridges to sausage foil packs, PFE Technologies will be happy to help you make the switch into more efficient, more environmentally-friendly sealing practices. Contact us to find out more. 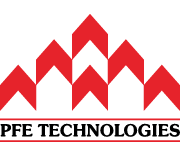 Soudal Annual Report 2016 PFE Technologies will be at Buildtech Asia 2017!